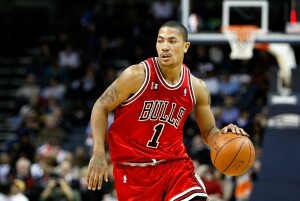 In the NBA, Derrick Rose helped the Chicago Bulls rebound from a bad loss to the Miami Heat with a 98 – 88 win over the Washington Wizards. 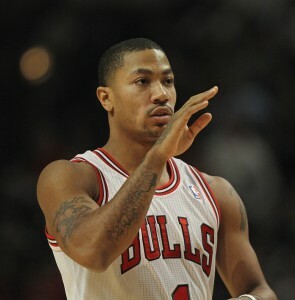 Rose scored a season high 35 points. He had 13 points in the first quarter, and shot 14 of 15 from the foul line. Rose added eight assists to his box score. And while the Bulls rebounded, the Minnesota Timberwolves helped their coach Rick Adelman win in his return to Houston. The Timberwolves outscored the Rockets 120 -108 with the help of Michael Beasley’s 34 points and Kevin Love’s 29. Ricky Rubio added 18 points, 11 assists and 8 rebounds. In the NFL, the New England Patriots number one receiving threat and record-setting tight end, Rob Gronkowski, sat out practice on Monday. This was Gronkowski’s third practice in a row he has missed. 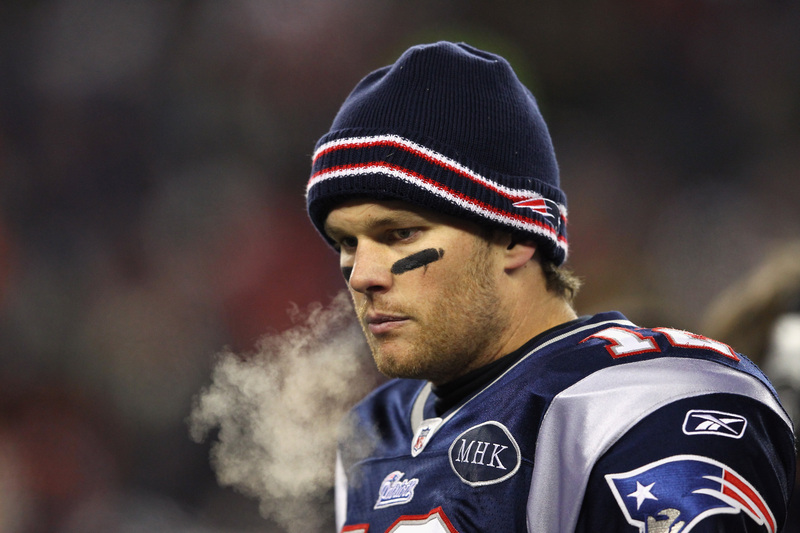 He remains sidelined with a high ankle sprain on his left leg that he suffered in the AFC Championship Game. Gronkowski is expected to play in the Super Bowl on Sunday, but more than 80 percent of their plays have two tight ends on the field. The catch — the Patriots have no listed back up. 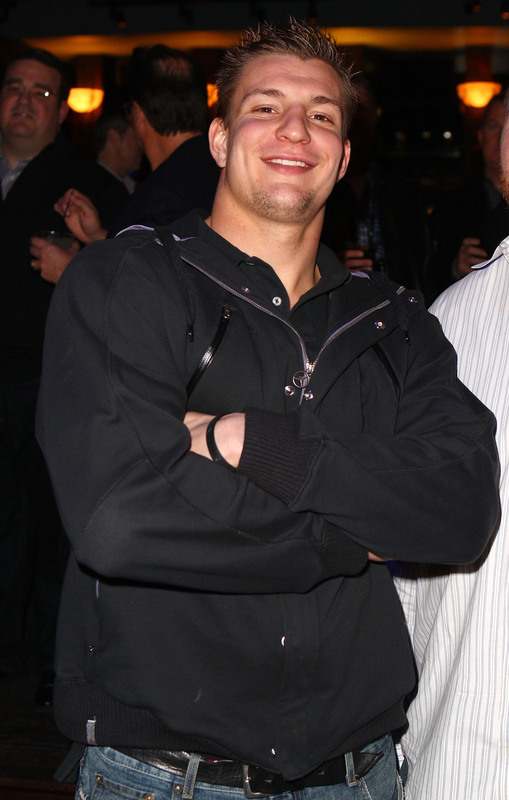 Gronkowski totaled 90 catches on the year for more than 1,300 yards and a tight end record 17 touchdowns. In the NFL, the league’s best and brightest stars took the field in Honolulu. The game under the sun had most players playing at half speed. Nobody was hitting each other; nobody was trying all that hard, except for the one man who set a Pro Bowl-record four touchdown passes — Brandon Marshall. Marshall was crowned the MVP in the AFC’s 59 – 41 win over the NFC. With the win, each AFC player earned $50,000 and the NFC players received $25,000 for participating. In the NBA, the Chicago Bulls went down to South Beach to play the Miami Heat and just couldn’t quite get their job done. The Bulls made the game extremely close, coming to within two points of the Heat with under 30-seconds to play. Derrick Rose, the reigning MVP, who had hit a perfect 12 – 12 from the line for the night, missed both free throws that would have tied the game. Rose’s miss were his first two misses in the 4th quarter of any game this season after previously hitting 29 free throws. But, the game wasn’t over as quickly as that. LeBron James was fouled and sent to the line. He also missed his two shots at the charity stripe. James missed six straight points at the end of the fourth quarter, which kept hope alive for the Bulls. But, Chicago just couldn’t get over the hump in the game. Rose had 34 points, six rebounds and six assists in the game, while James topped him with 35 points, 11 rebounds and five assists. The Australian Open finals were what some analysts call the best Open era finals ever. Novak Djokovic and Rafael Nadal volleyed back and forth for almost 6 hours. This final was the longest Grand Slam singles final in the history of the sport. Last year, Djokovic beat Nadal all six times they played on the tour. The match went five sets, where most sets went at least one hour. This is Djokovic’s 5th grand slam win and 3rd consecutive finals win. In the NBA, the Orlando Magic seemed to be coasting throughout the first half of Thursday nights game against the Boston Celtics. The Magic appeared to have a team wide brain freeze. At one point they had a 27-point lead on the Celtics, but ended up losing by the score of 91 – 83. The Celtics outscored the Magic in the fourth quarter 27 to 8. E’Twaun Moore served as the spark plug for Boston and had 16 points off the bench. Three starters were out for Boston, which left Paul Pierce to take over the game. Pierce had 24 points, 6 rebounds and 10 assists. In the NFL, the Tampa Bay Buccaneers have been looking this past week to hire a new coach after they fired Raheem Morris after three seasons. Morris went 17-31 over that time period, and the Bucs were not happy with last year’s 4 – 12 record. Thursday afternoon, the team hired former Rutgers coach, Greg Schiano. 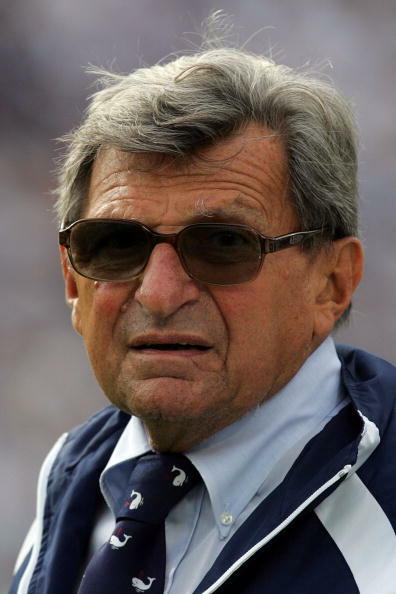 The former Rutgers coach signed a five-year deal. As the Scarlet Knights head coach, he led Rutgers to a 49 – 28 record since the 2006 season. In the world of golf, Tiger Woods looks to resurrect himself after a couple brutal years on the PGA tour. Woods trails the leader by only two strokes at the Abu Dhabi HSBC Championship where he had yet to hit a bogey. Woods trails Thorbjorn Olesen going into the final two rounds of the tournament. 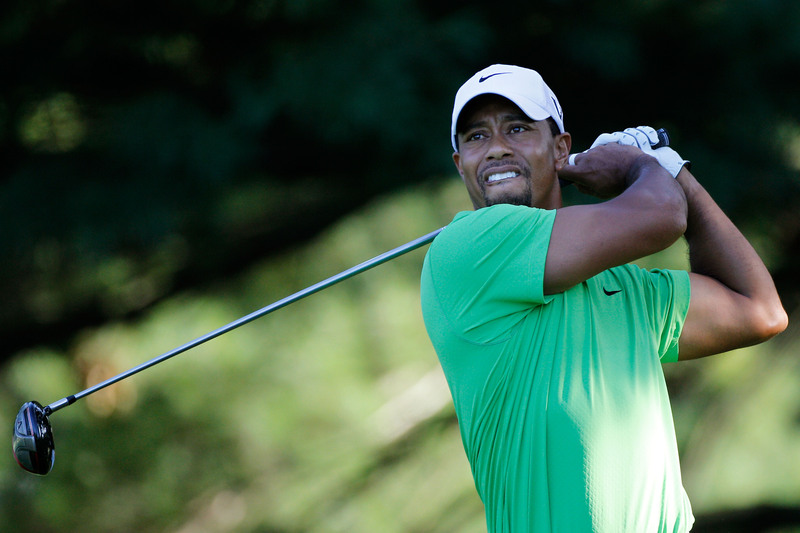 Woods has a 36-hole total of 5-under 139. Woods says he feels better than he has in along time, and the golf world surely needs him to come back strong. In the NFL, the coaching carousel is in full swing and two more coaches look to be announced soon. The Indianapolis Colts named Chuck Pagano as their next head coach. Pagano looks to bring the intensity and defensive mindset to the Colts that he had as the defensive coordinator of the Baltimore Ravens. The Colts dealt with a dreadful season without future Hall of Fame quarterback Peyton Manning. They will have the first pick in the upcoming NFL Draft, where many analysts speculate they will take the highly touted quarterback from Stanford, Andrew Luck. If that is the case, then look for the Colts to move Manning, who is coming off a major neck injury. The other coach that looks to be named very soon is Denver Broncos defensive coordinator, Dennis Allen, who will be named the head coach of the Oakland Raiders. After the death of owner Al Davis, the ownership decided to go with a new head coach. 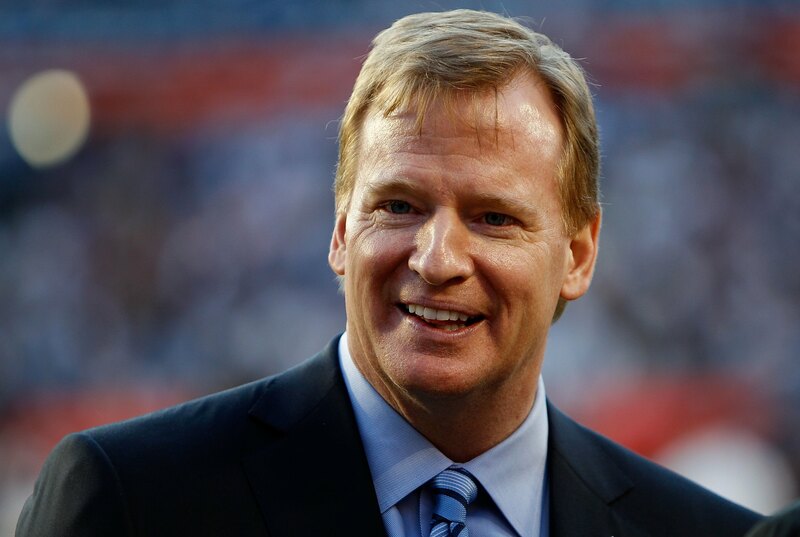 Along with new coaches, Commissioner Roger Goodell has had his contract extended until the 2018 season. Over his tenure he has had to deal with a 4 ½ month long lockout, which ended in a 10-year work agreement. Goodell took over from long time commissioner Paul Tagliabue in 2006. In the NBA, the Minnesota Timberwolves have agreed to a deal with NBA All Star Kevin Love for another four years. The deal is worth around $60 million. The final year of the contract will be an option year for Love. The Timberwolves have given themselves a nice young core with Rubio and last year’s number two overall pick Derrick Williams. Love this year is averaging nearly 25 points and 14 rebounds with a half a block per game. 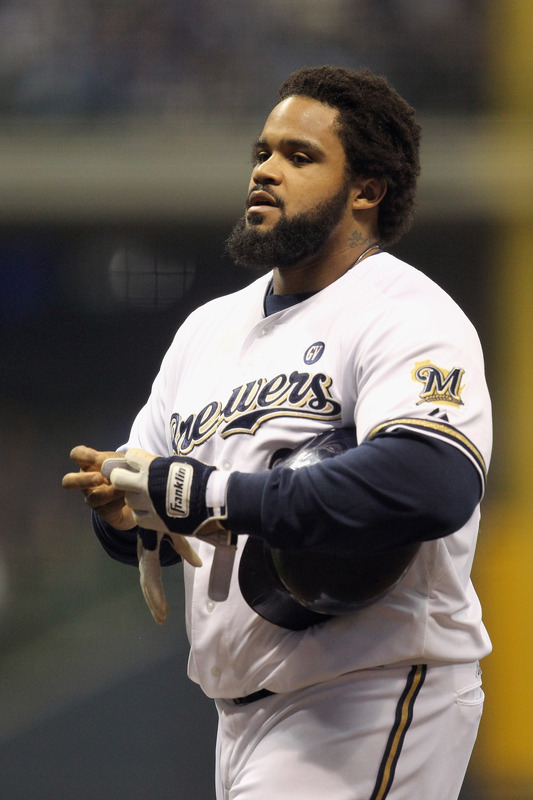 In the MLB, big slugging first baseman Prince Fielder has finally been signed. His agent Scott Boras, came through for his client on a nine-year $214 million dollar deal with the Detroit Tigers. Last year, the Tigers ran away with the American League Central by 15 games over the second place team. And with the recent news of Victor Martinez, out for the season, Detroit felt the need to make sure they did not lose a beat with their offensive attack. Fielder had a down year only hitting .299 with 38 home runs and 120 RBI. But, over the past five years, the three-time All Star, has averaged more than 40 home runs and 113 RBI’s. And as Fielder hopes to make the AL All Star team, former St. Louis Cardinals manager Tony La Russa is coming back to manage the National League squad in the All Star Game next season. La Russa will be the second retired manager to manage in the All Star Game. Hall of Fame manager John McGraw was the first. Retired La Russa wasn’t the only retired player making headlines yesterday. 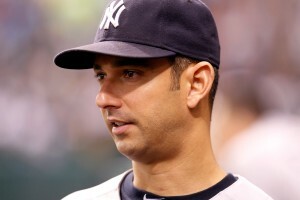 Jorge Posada, the 17-year veteran catcher, announced his retirement. Posada is one of only five catchers all-time with 1,500 hits, 350 doubles, 275 home runs, and 1,000 RBIs. His career in the Bronx helped the Yankees rack up four World Series titles in his tenure with the team. 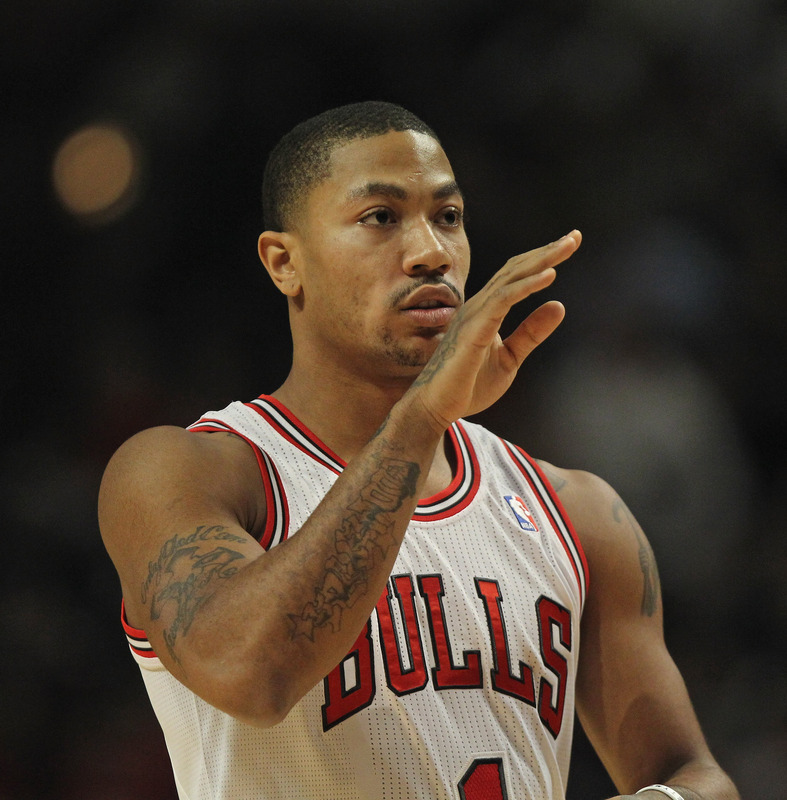 In the NBA, the Chicago Bulls may be in a little bit of trouble. Luol Deng is going to be out a “while.” Deng tore a ligament in his left wrist. This is the same injury Deng had on his opposite wrist during his rookie season. Bulls coach Tom Thibodeau described Deng as “week to week.” Deng will not undergo surgery, but has not ruled it out as an option. Deng so far this year is averaging nearly 16 points and 7.5 rebounds for the league leading Bulls. In College Basketball, the new polls came out yesterday and both had the University of Kentucky as the top team in the country. In the AP poll, Kentucky was joined by the Missouri Tigers, Syracuse Orange, Ohio State Buckeyes and Kansas Jayhawks, to round out the top 5, followed by the Kentucky Wildcats. Syracuse fell out of the top spot after losing at unranked Notre Dame this past weekend. Arguably their best player, Fab Melo sat out his second straight game, which the university says is due to academic reasons. If Melo does not return, the Orange will have to figure out a way to replace the big man in the center of their infamous 2-3 zone. In the NHL, Washington Capitals forward and NHL superstar, Alex Ovechkin was suspended for three games. The suspension was dealt out to him on Monday after he lunged himself into Pittsburgh Penguin defenseman Zbynek Michalek, even though no in game penalty was assessed. 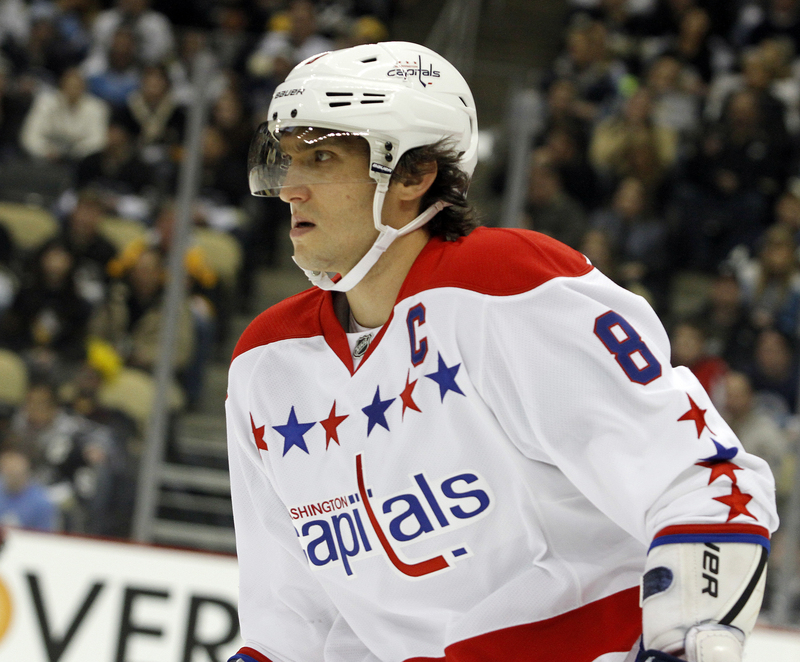 The Capitals lost the game to the Penguins 4 -3 in overtime. Ovechkin stands to lose more than $150,000 after the incident and is not eligible to return until February 4th against the Montreal Candiens. The Capitals next three games are against Boston, Tampa Bay and Florida. In the NFL, even thought the 49ers have been eliminated from the playoffs, they still seem to be the topic of conversation. 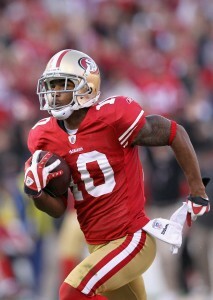 Young wide receiver, Kyle Williams has been receiving death threats since the end of the game. Williams was responsible for two fumbled punts in the Conference playoff game on Sunday; both of which led to Giants points. The second fumbled punt, was in overtime and set the Giants up for an easy score to end the game. Willliams calls the threats ‘shocking’ and says he hopes none come to fruition. In the NFL, the representatives for the AFC and NFC in the Super Bowl are set. 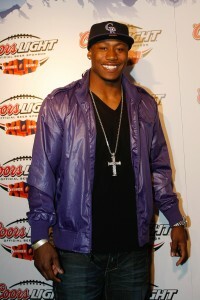 The New England Patriots beat the Baltimore Ravens in the first game Sunday afternoon 23 -20. The Ravens managed to limit the damage of the Patriots lethal passing attack to fewer than 250 yards in the air and Tom Brady had no touchdowns and two interceptions. But even though Brady had a less than stellar performance, he leaped into the end zone for the go ahead touchdown in the fourth quarter. The Ravens were then down by three going into their final drive of the game and with just seconds remaining on the clock, former pro bowl kicker, Billy Cundiff, had a chance to send the game to overtime. And what did he do? He shanked the kick wide left. The second game had the New York Giants and San Francisco 49ers facing off in rainy weather at Candlestick Park. Eli Manning threw for more than 300 yards and two touchdowns in a 20 – 17 overtime win. The defensive battle had 9 total sacks between the two teams, but the story of the game was Kyle Williams. The wide receiver was returning punts for the 49ers and lost two of them, both of which led to Giants scores, including the final game winning field goal in overtime. With the win, Manning now has won five career road playoff games, which gives him more road playoff wins than anyone in history. 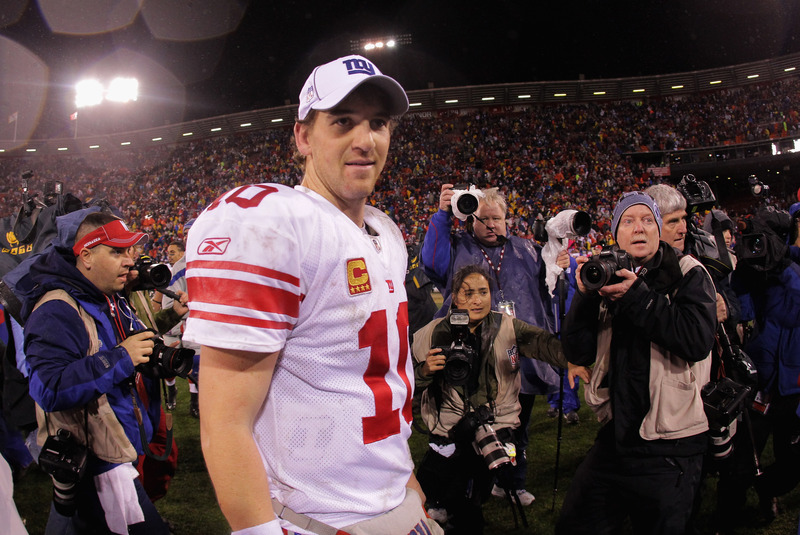 With the Giants win, the 2007 Super Bowl matchup will be replayed in Indianapolis. In the NBA, it was that time of year when Kobe Bryant and the Lakers visited LeBron James and the Miami Heat. Normally, this is much ballyhooed fare, but the Heat are tied for 5th in the Eastern Conference right now, and the Lakers are trying to find their identity. Plus, LeBron was battling a fever prior to this game, but hey, when the Lakers come to town, you have to get on the court or be criticized for the next few weeks. So, LeBron did get out there, and he had an amazing night with 31 points, as the Heat beat up on the Lakers from the get-go. The Lakers didn’t even have a chance. They need to go back to LA and figure out how to utilize Kobe Bryant outside of Phil Jackson’s triangle-offense. They need work. 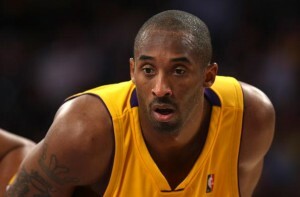 Miami 98, LA Lakers 87. Elsewhere in the NBA, the Oklahoma City Thunder are rolling right now, save for a fluke loss to the Washington Wizards Wednesday night. But there has been speculation since the end of last season that point-guard Russell Westbrook might be headed out of town. 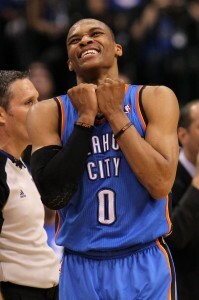 This was exacerbated when Westbrook was spotted verbally sparring with Thunder star Kevin Durant. But, after their recent run, and visible proof that this young team is truly jelling behind stars Durant, Westbrook, and James Harden, the Thunder realized they absolutely need Russell Westbrook to stay in the blue and orange. So they signed him up for an $80million deal. The number of years hasn’t been disclosed, but they certainly have intentions to win multiple championships with this team. Finally, in some very sad news, half-pipe skier Sarah Burke died yesterday from wounds she suffered in a serious ‘superpipe’ injury. She hit her head, rupturing an artery that sends vital blood to the brain. She had been in the hospital the last week in an induced coma, and yesterday she died in her sleep after she went into cardiac arrest. Her brain damage was irreversable and it just wasn’t something anybody could survive. 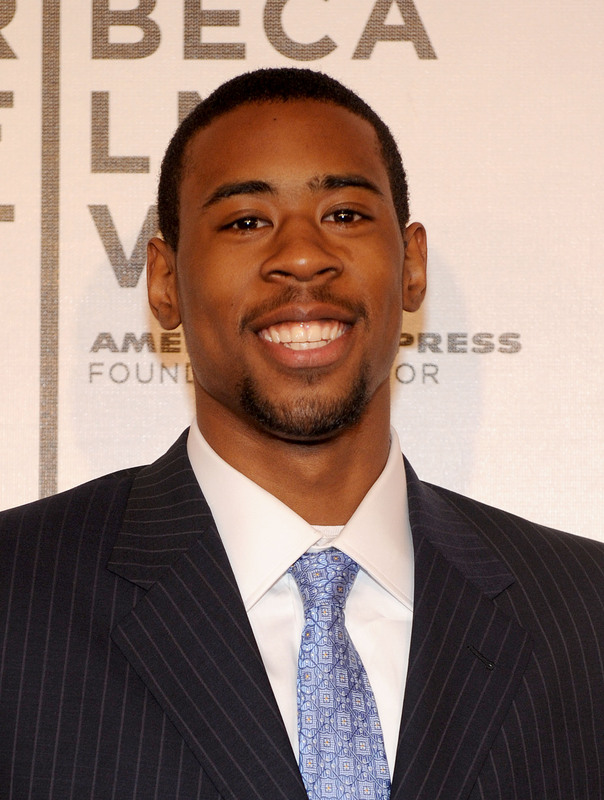 Burke was only 29, and was favored to be a gold medalist in the 2014 Olympics. In the NBA, the Clippers are one of the most exciting teams in the NBA this season. Chris Paul has been amazing for them, but he was sidelined last night against the Mavericks. While the Clippers show a lot of promise, they have been criticized for lackluster defensive efforts as of late. So Dirk and the Mavs would be a big test for them. The Clips held their own all night behind a big 19 point, 9 rebound game from DeAndre Jordan. But, in the end, the Mavs got the ball in the hands of Jason Terry with 6 seconds left, and he put them up 89-88. Could the Clippers do it with 5 seconds left? They in-bounded it to Blake Griffin, who passed it to back-up point guard Chauncey Billups, who put up a three, and…. GOOD! The Clippers win in a close one. LA Clippers 91, Dallas 89. And elsewhere in the NBA, everyone expected the first-place, red-hot Oklahoma City to cruise into Washington and crush the, 1-win Wizards. That team looks disheveled and in search of an identity. But… the Wiz came to play! The Thunder actually kept a lead for most of the way behind a 33-point night from Kevin Durant, but, in the 4th quarter, the Wizards turned it on. They got a 25 point night from John Wall, and shooting-guard Nick Young hit a couple dagger three-pointers to ice the victory and pull the upset. Could the Wizards actually turn their season around? This would be the time to start. Washington 105, OKC 102. 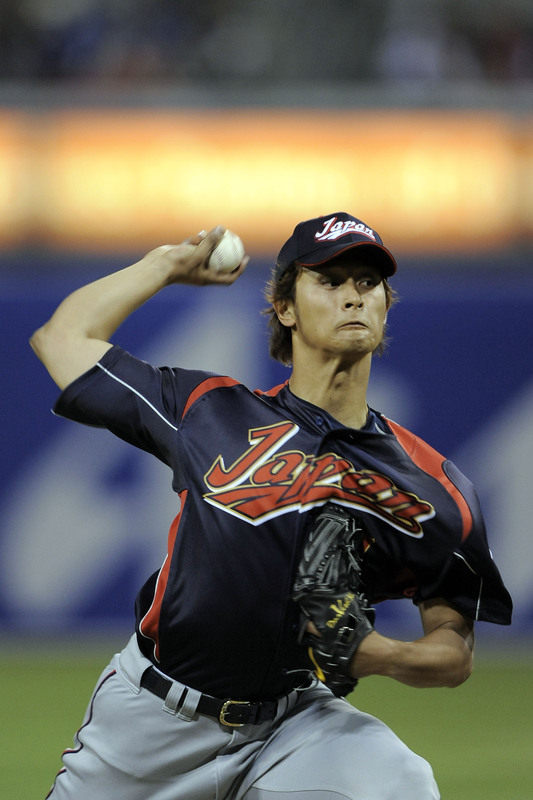 The hottest international prospect for the past few months has been Japan’s Yu Darvish. This kid is supposed to be a pitching phenom and it was the most curious subject in baseball wondering where he would wind up. Most likely, it would be the Yankees, Red Sox, or Mets — three high-spending teams who typically land players like this. But, in the end, the Texas Rangers won the Darvish sweepstakes. They signed him for a 6-year, $60million deal. The Rangers needed this guy, especially after they just lost one of their great pitchers in C.J. Wilson, AND they’ll have to stay competitive against the Los Angeles Angels who are positioning themselves to be a powerhouse in the American League. Hopefully Darvish turns out to be as good as the experts say. In the NBA, the Miami Heat have had a tough start to the season. They’ve been on a 3-game losing streak and have also yet to win the road. To add to the bad, they would be without Dwayne Wade on the road against a tough San Antonio team. But, this would be the game they would finally turn it around. LeBron James was an absolute monster against the Spurs, posting 33 points and 10 assists. There was simply no answer for James, as the Heat scorched the Spurs. With the win, the Heat are hoping to get on track to getting that #1 overall seed in the eastern conference. This HAS to be their year. Miami 120, San Antonio 98.
, In the NFL, it truly looks like the Indianapolis Colts are completely overhauling their team. After a putrid 2-14 season, the new owners are getting rid of Jim Caldwell. Caldwell had been the coach of the Colts the past few seasons. He was appointed head skipper soon after Tony Dungy retired after winning a Super Bowl. 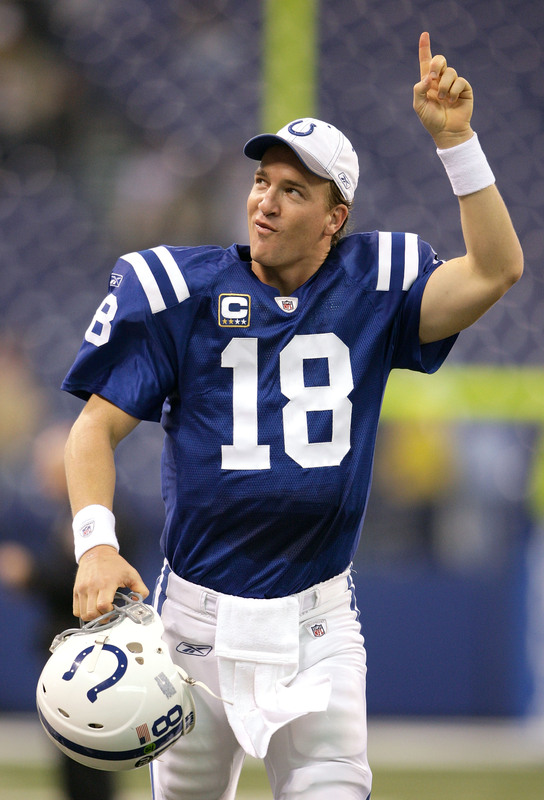 Caldwell was Dungy’s right-hand man, and was long-considered to be Peyton Manning’s “Guy”. But, this season, Caldwell showed what kind of coach he is WITHOUT Peyton running the show. Yeah… he’s disposable. And now, with Peyton’s career in serious jeopardy after a neck injury, the Colts are cleaning house and paving the way for the Andrew Luck era. 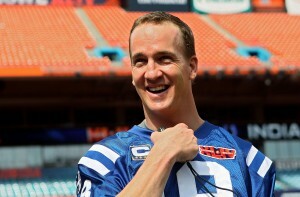 Is Peyton the next guy to get shipped out of town? Finally, in some other NFL news, the remarks are already flying between the Giants and the 49ers for the NFC Championship. First off, Victor Cruz said that the Giants can’t be beat. He says that they’re excited about playing the Niners because they like how they FEEL about them, that they think they can win. Cruz said that the Saints would have been tougher, and the Giants are happy to be playing the Niners. Additionally, Niners tight-end Vernon Davis said that he was PRAYING the Giants would beat the Packers, so the Niners could host the NFC Championship Game. The Giants defensive back Antrel Rolle said that Davis should be careful what he wishes for because the Giants are coming for him. This game is going to be terrific!